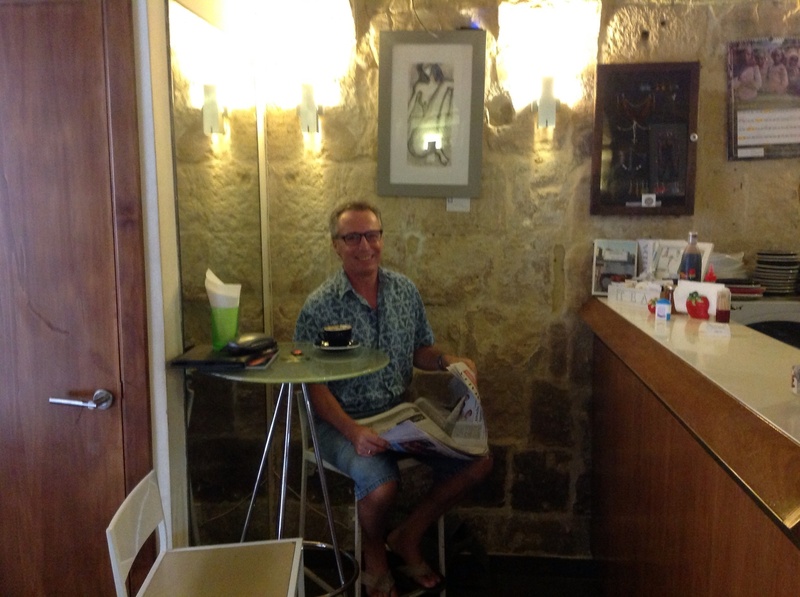 Rupert at Piadina Cafe, Valletta, Malta. 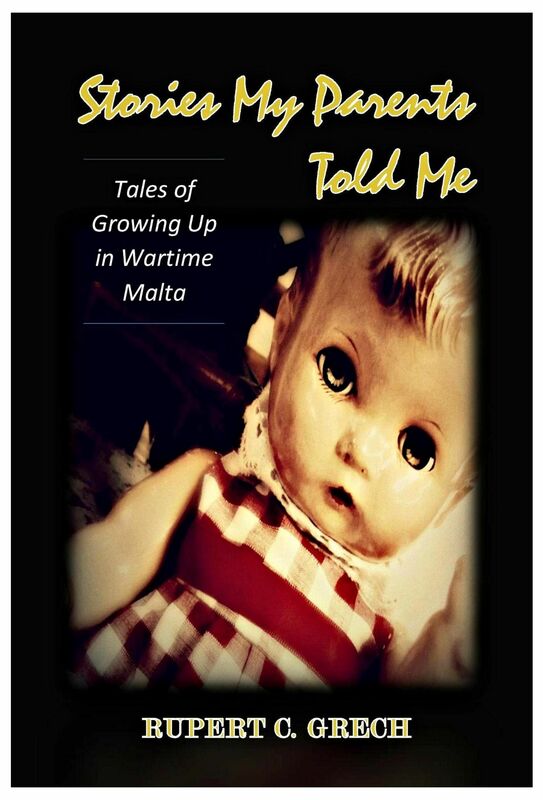 Great place to meet writers, musicians and others. 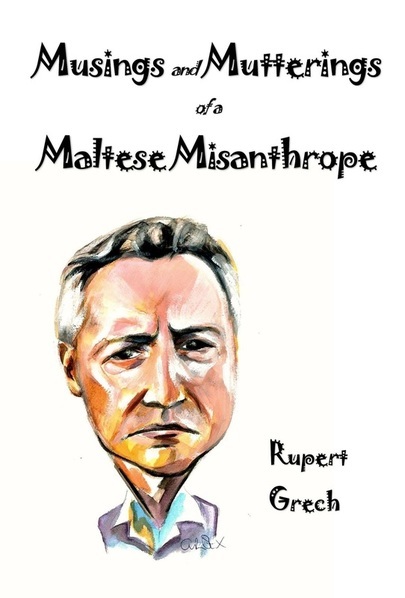 Rupert Grech with Christine Xuereb Seidu, the cover artist of his book Musings and Mutterings of a Maltese Misanthrope. 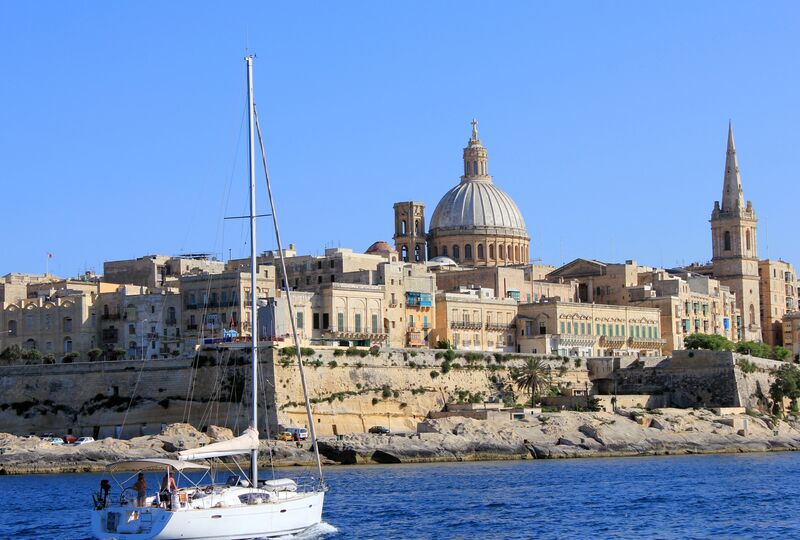 Valletta, Malta from Marsamxett Harbour.